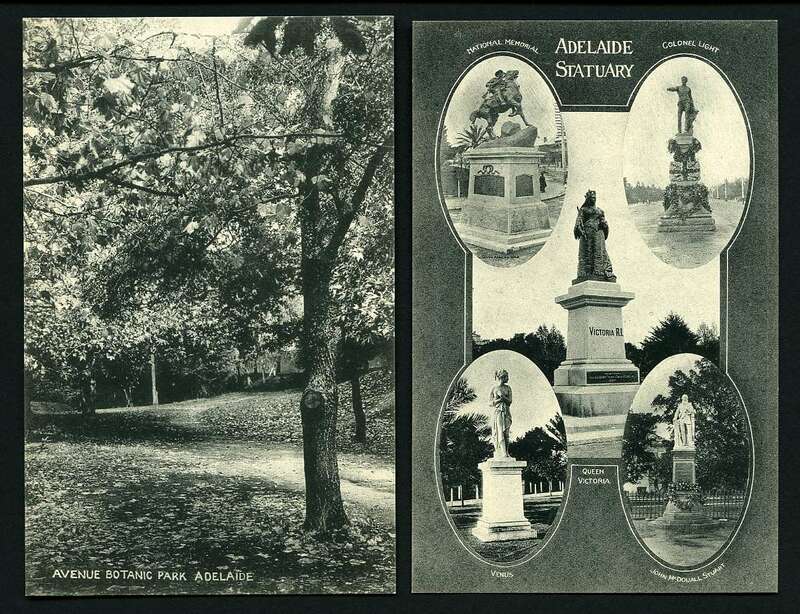 Selection of 12 different black and white postcards showing views of Adelaide issued by the State Tourist Bureau and Intelligence Office. Superb condition. 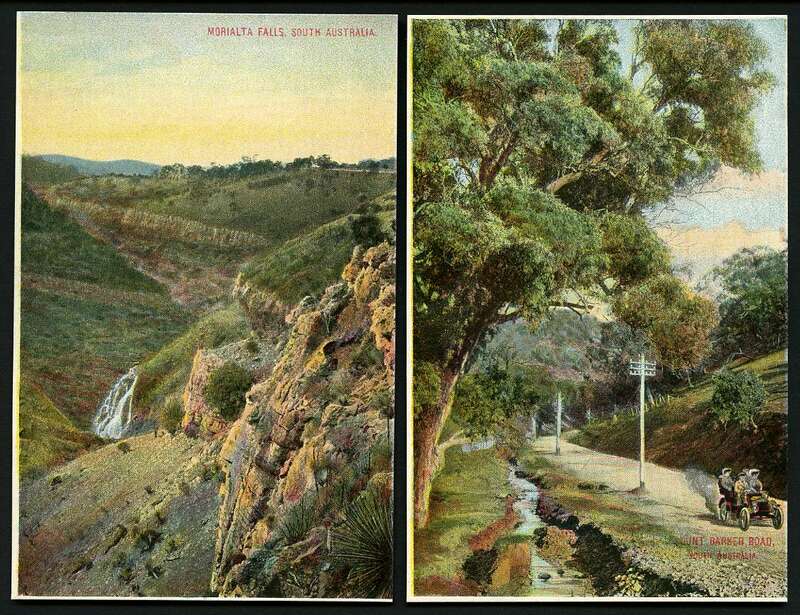 Selection of 12 different colour postcards showing views of Adelaide issued by the State Tourist Bureau and Intelligence Office Phone 2538 series. One with tear, otherwise in superb condition. 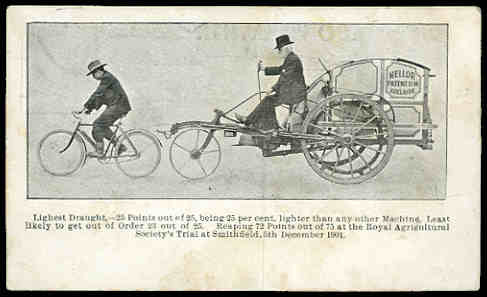 Small early advertising postcard for a Mellor Cycle Powered Reaper, with text exuding it's somewhat dubious virtues including 72 points out of 75 for Reaping at the Royal Agricultural Society's Trail at Smithfield on 5th December, 1901. Most intriguing subject matter. Slight trace of aging. 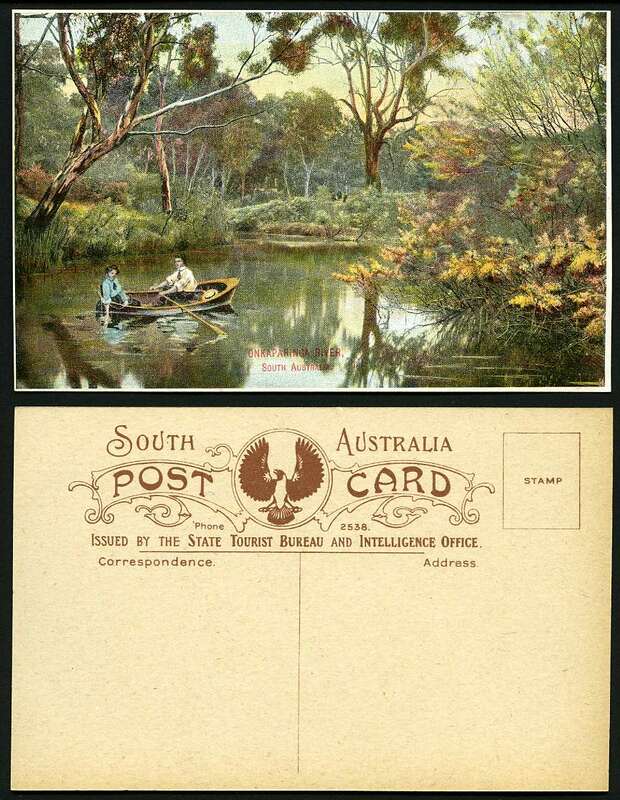 Early artist postcard of S.S."Riverina" by C. Dickson Gregory. Also O.H.M.S. postcard with Australian Military Forces, Notification To Report For Medical Examination printed message on reverse and few other miscellaneous items. Nuttall comic card "Fond of his Grub", Kerry Series 98 (Black Type) "Aboriginal throwing Boomerang" and Aboriginal Woman. N.S.W." and Shell Series (Coloured Type) "Aboriginal Woomera Spearsman, N. Queensland" and "Hair dressed in Mourning, N. Queensland" postcards. Odd minor bend. (5 cards). 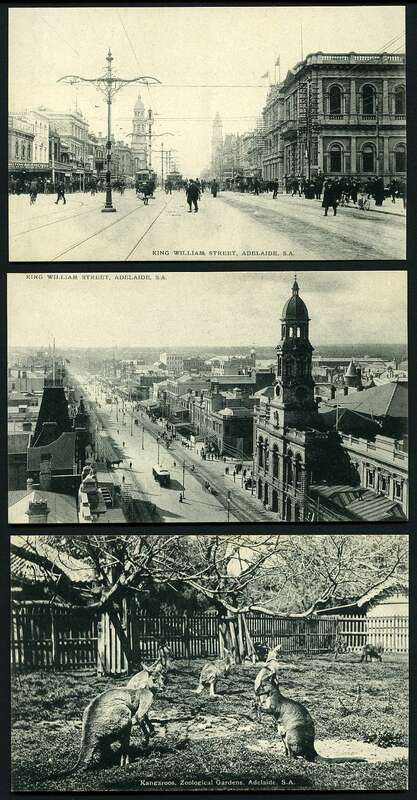 Selection of 303 early postcards including attractive range of Building, Street and Nature scenes and few Foreign cards. 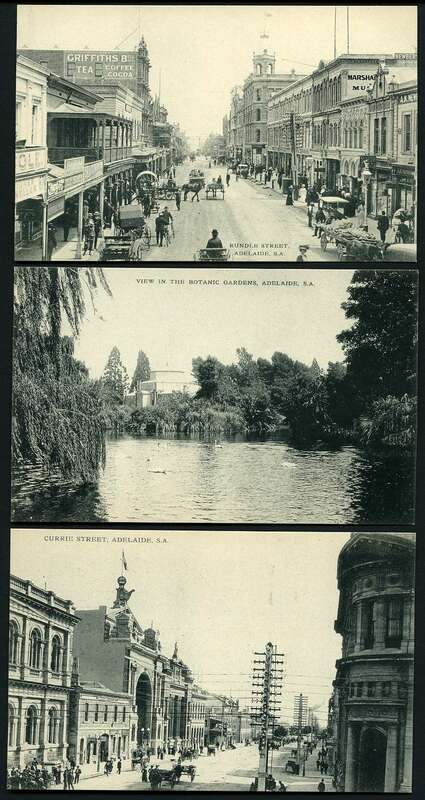 Noted Train passing through flood waters Sth Yarra 25.1.07, Horse Drawn Tram "Adelaide and Suburban Tramway Company" (close up), 2 Military Parade photographic scenes, River Murray Steamer, many outstanding Building and Street scenes including General view of Wallaroo Mines. 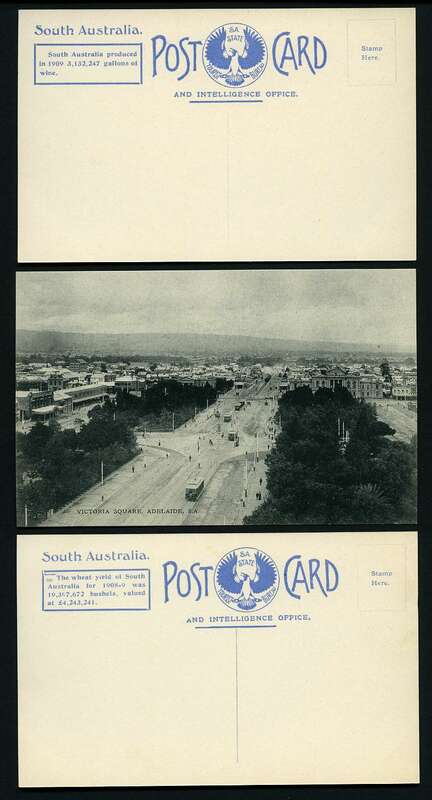 S.A. and General view of Kadina and Wallaroo Mines from Post Office Tower. 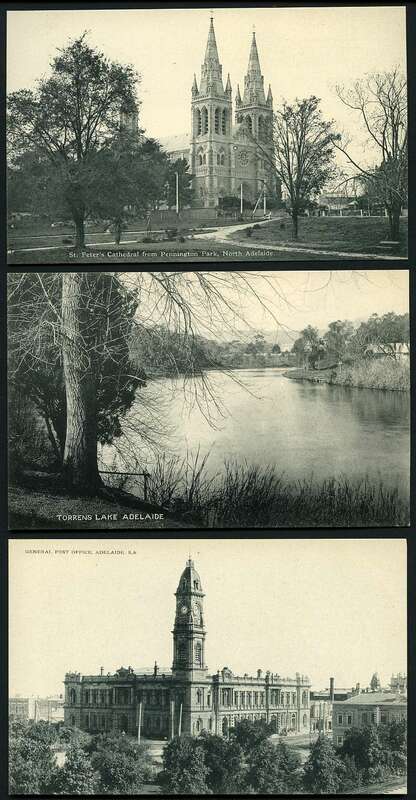 Also small range of stamps, covers and miscellaneous items including 1930's pictorial of the construction of the Sydney Harbour Bridge and City Railway with many photographs. 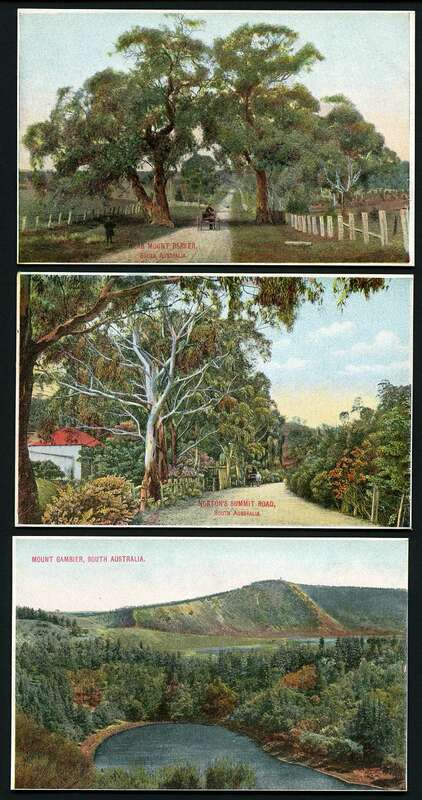 Selection of 193 early postcards including J.A. Turner "A Summer Evening", "A Winter Glow" and "A Try for Supper", A. MacInnes Australian Series "Skin Hunters" and "Nearing Camp", P. Campbell Australian Series "Watering The Cattle" and "Off To The Factory" and Dudley Hardy "You Never Know What You Can Do Till You Try " Artist cards, Late King Edward VII The Peacemaker, Map of Australia "A Gum Leaf From The Golden South" with gum leaf sewn on, Aboriginals in canoe's on Bloomfield River, 16 miles south of Cooktown, North Queensland and attractive range of Building, Street and Nature scenes. Odd duplicate and fault with useful range of South Australian squared circle cancellations. Bamforth WWI era "Song" cards series 1, 2 and 3 complete sets of 33, series 4 (3 cards) and "Song Greeting" cards (5 cards). Attractive and rarely seen in complete sets. Odd fault, but mainly in excellent condition. Selection of 28 Shipping postcards comprising 6 colour Blue Funnel Line, 17 colour P & O (1 photographic) and 5 photographic Orient Royal Mail Line. Attractive. Excellent condition with odd duplicate. 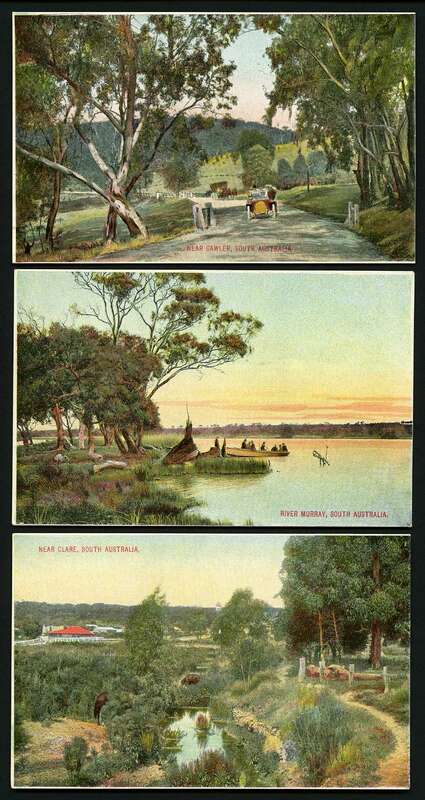 Selection of 104 early postcards mainly from Australia and Great Britain including attractive range of Nature scenes and Artist's cards. Noted J. Hutchings Australian Series "The Plough" Evening and "The Sundowner". All but 2 cards with squared circle cancellations including Mutooroo Type II, New Mecklenberg, Penneshaw and Red Hill (4). Odd fault. Collection of 398 early postcards mainly from Great Britain including attractive range of Building, Street and Nature scenes, Artist's and Coronation cards. Noted Valentine and Sons selection of 11 different WWII "Aircraft Recognition" cards. Some faults. Selection of various sized old postcard books and souvenir folders, old photographs and range of miscellaneous items including Caledonian Railway Scottish Tourist Map folder and Louis Geisler Les Vosges Gerardmer booklet of 12 photographic views. Also Great Britain selection of 115 Wills cigarette and 51 Typhoo Tea trade cards including Wills 1924 Merchant Ships of the World (47/50), 1925 Flower Culture in Pots (48/50) and Typhoo Tea 1937 Characters from Shakespeare (15/25). Murray's Catalogue Value $272.00. 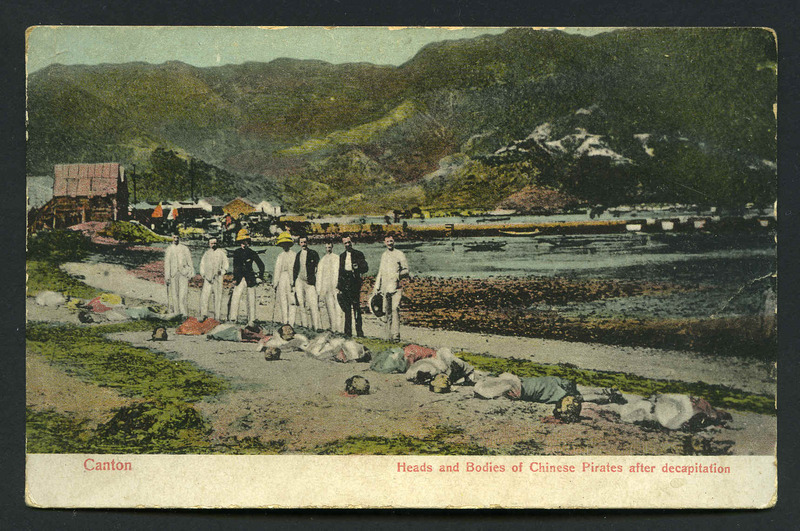 Selection of 37 early postcards including Canton "Heads and Bodies of Chinese Pirates after decapitation", plus 2 old maps of Brussels set C, sheet 6 and Great Western Railway Tourist map of London. Condition varies. Selection of 432 early postcards mainly from Great Britain, Italy and a range of other countries including attractive range of Building, Street and Nature scenes. Noted Mrs. Gen. Mite, the smallest lady in the world, and her father, The Smallest and the Tallest, Australian Train Disaster, Australia British Empire Exhibition by Charles E. Flower and A. Greenhalgh-Jackson Attraction "ISOM"-African Pigmy Man. Condition varies. Selection of 172 different early postcards mainly from Great Britain with main strength in Artist and comic cards. Noted attractive range of coloured Glamour cards by artists Harrison Fisher (38), Alonzo Kimball (8), Philip Boileau (6) and F. Earl Christy (2), plus 65 brown coloured "Pictorial Comedy" Glamour sketch cards mostly by artist C. D. (Charles Dana) Gibson. Odd minor fault. 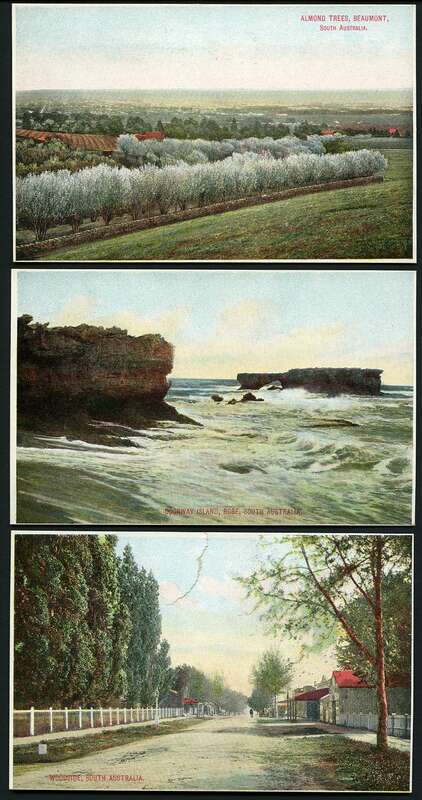 Selection of 336 early postcards mainly from Great Britain. Some faults. Noted Australia Queensland Government Tourist Bureau Hornibrook Highway "Brisbane to Redcliffe Beaches" in very good condition.